Welcome to Minneapolis, Minnesota! 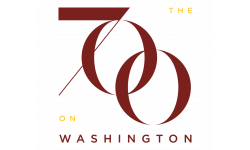 The 700 on Washington is a great place to live, just steps from the University of Minnesota and easily accessible by public transportation. Moving anywhere is stressful and we would like to make it as easy as possible. The 700 is a community like no other, offering unparalleled service, amenities, and resident events. We hope the information below helps you with the leasing process. Lease: Legal contract you sign before you move into your apartment. Tenant: The person who lives in the room or the apartment. Landlord: The person who takes owns care of the room or apartment. Relet: When you find someone to move into your apartment to take your place. Roommate: You have the option of sharing your room with a roommate for an additional cost. If you want to share your room, but don’t know anyone, we offer roommate matching based on preferences. · Application Process: This is the first step to live at the 700. You need to fill out basic background information in order for our staff to create a lease. When you rent, you will sign a legal contract. This means you promise to live here until your lease is expired. How many months you will live in your apartment and the amount of rent for each month. What problems we can fix and what you need to fix on your own. The apartments are furnished! Each unit has a full kitchen with stainless steel appliances, furnished couch, bar­stools, entertainment center, 42” flat­screen tv, with cable and internet included. Also, laundry is easy with built­in washer and dryers in your apartment. There is free locked bike storage located in the lower level of the building. Every month we offer special events open to all residents. The events are a great way to meet your neighbors. In the past we have hosted Taco Tuesday, Ice Cream Socials, Midnight Breakfast, and Chinese New Year! It’s a great time and we always have plenty of free food. Sometimes, we even give away concert tickets too!